For most people in today’s frenetic world, being able to take months off to go on an expedition is simply out of the question. They are the preserve of professional adventurers and explorers with time on their hands. Or so you’d think. But expeditions don’t have to take months out of your diary. Wilderness can be discovered closer to home, as Andrew Denton recently discovered in Greenland. Denton is not a professional explorer or mountain guide – although he’s banked nearly enough experience over the years that he almost could be if he wanted. Rather, he’s a busy working guy with a lot of demands on his time. The CEO of the Outdoor Industries Association, a consultant and investor, today his time is mostly taken up with efforts in the charity sector to get people into the outdoors. Which makes their recent efforts in Greenland all the more impressive. In the space of a few weeks he and a group of five friends managed to ascend 12 mountains which they believe have never been climbed before. Besides ice axe, crampons and rifle he also had with him a Land Rover Explore Outdoor Phone. He says Greenland is probably the easiest place in the world they’ve found to find first ascents, in terms of ratio of ease of access to the ability to find virgin peaks. The East Coast of Greenland has long been a favoured destination among exploratory mountaineers. Neal Gwynne, an expedition leader, has led five trips there. A former school master, in 2015 he led a group of ten 16 to 18 year-olds from Worksop College – they took off in a vintage Catalina sea plane from Loch Lomand, landed on a remote lake and made three first ascents. “You have to set proximity alarms and trip wires against them and take a rifle and flares wherever you go,” Denton says. Bad weather greeted their party on arrival and for the first week they were confined to locals’ wooden huts in the settlement of Kulusuk, home to 50 families and 400 dogs. 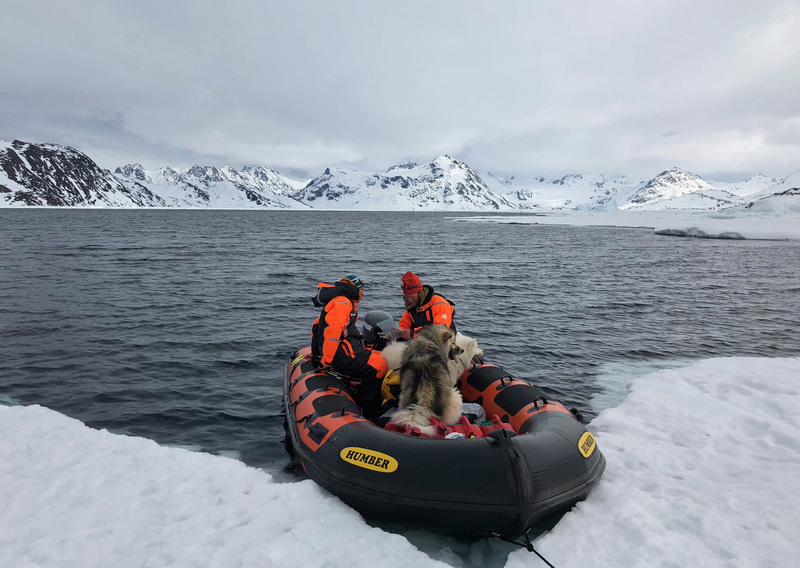 They made some day trips but as soon as the weather cleared they were able to jump aboard a rigid inflatable boat (RIB) and set up a BASE camp on the ice near Kangertivartikajk. From there the plan was to ski-tour up as many peaks as possible. Every morning, if the weather was good the party would get in the RIB and search for a new island or area and try to find a mountain to climb. The group were ski-mountaineering (also known as ski-touring), a sport that’s become visibly popular across the Alps in recent years. The skis are like regular alpine skis, only lighter and with a different binding set-up. During the ascent nylon skins are placed underneath for grip while the binding is adjusted to let the heel rise, allowing a normal hiking movement. It is then locked back down for the descents. 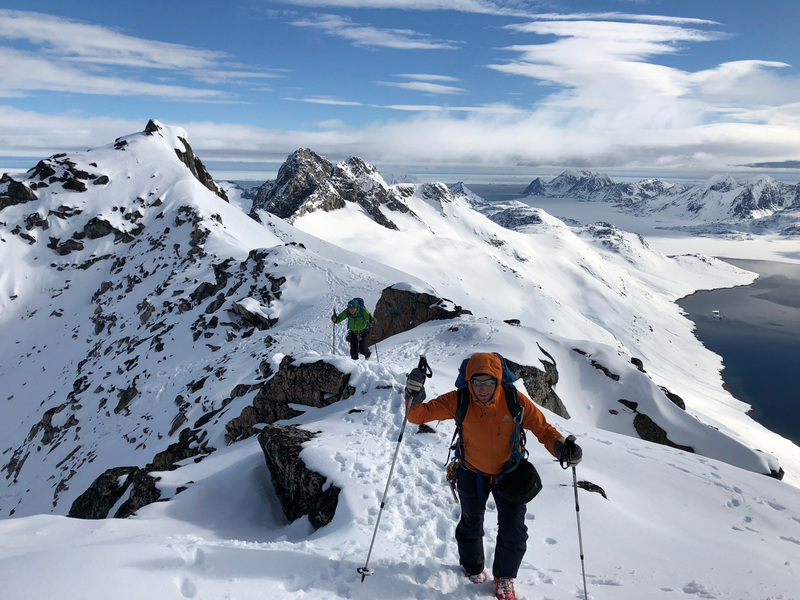 In purely skiing terms, the descents offered a very poor return, he says, lasting as little as 20 minutes after hiking up around 1,000m of ascent in three to four hours. 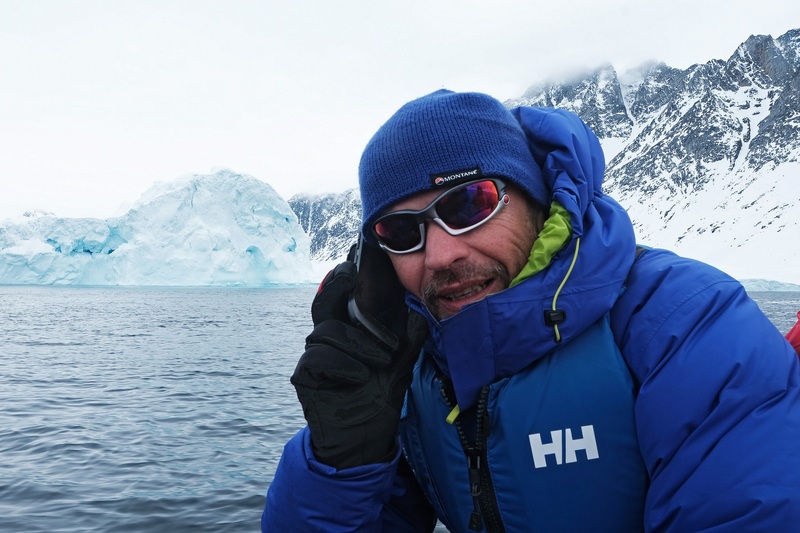 The Explore was limited only by one thing – Greenland’s lack of phone signal. Fortunately, this proved no hindrance to the explorers. 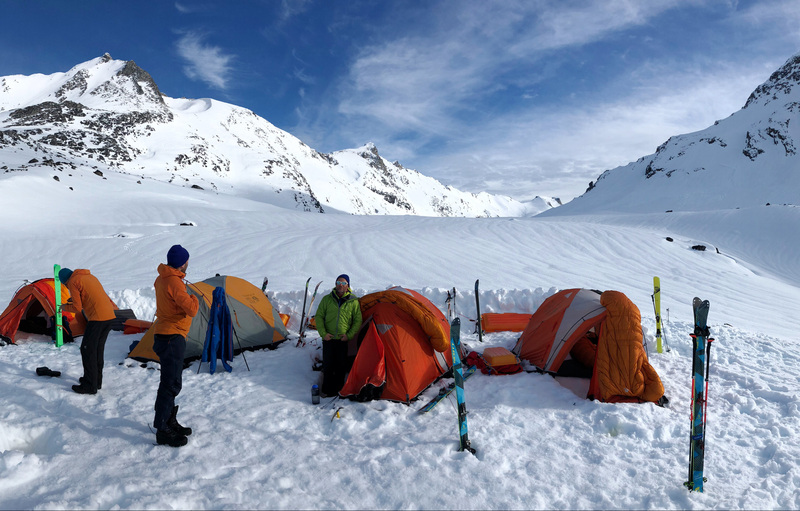 During the three week trip they made a total of 12 first ascents. “It was great,” he adds. The team is now planning the next mission.